What’s become of the wave of Irish Single Malt of the last few years? Give thanks and be glad, these were beautifully fruity whiskies like nothing Scotland has produced of late. In terms of vintages, we’ve seen 1987 to 1993. 87s were rare, I count just two or three I think. 88s, 89s, 91s were a bumper crop. But then there were also these 1990s that were less common and then just a handful of 92s and 93s. So here’s a 1990 and a 1992 to see what direction the whiskeys have gone. Nose: The expected juicy fruit come shining through. It’s also a rather pleasing and sweet nose with lots of cotton candy, cream, light leather, candied fruit, light honey. It’s some boutique fruity tea infusion, with sugar. Sometimes other Irish of these years take on a herbal edge or grassy undertones. This one is just deliciously sweet and too easily drinkable. Palate: Joyous and leaping. An exuberant fruitbomb of a whisky. Pure bursting ripe fruit. Fantastic. Now developing away from this pure sweetness to light and clear herbal tea-like touches, and brittle leaves. Simple but great. Finish: Not the longest or the most development but it sits squarely and simply in the juice and herbal tea corner, itself a winning profile. Nose: Oh peated. Quite a number of 91s were peated as well, though this one shows a lighter peat. New embers, clean wispy wood smoke. Burnt toast and honey. Very oily with thick plant oils. Lots of coal and lumps of dug earth. Actually quite earthy phenolic, but not very expressive. Palate: Smoke, cold ovens, but no juicy fruit, instead there’s a baked green fruit quality to it. Can kiwis be baked? There’s a bit of medicine with that wheelbarrow of compost. Quite a full oily body though, good mouthfeel. Oily peat and loads of earth, and interesting earthy phenolics, but not much else. But what happened to the fruit? Perhaps comparisons are unwarranted, this is a different style of Irish Whiskey. Finish: Rather long, oily, wood smoke, earth. Thinly medicinal still, a little tart green-ness. 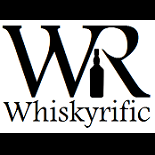 This entry was posted on July 1, 2018 by Whiskyrific in Cooley, Irish and tagged Cooley, Irish.